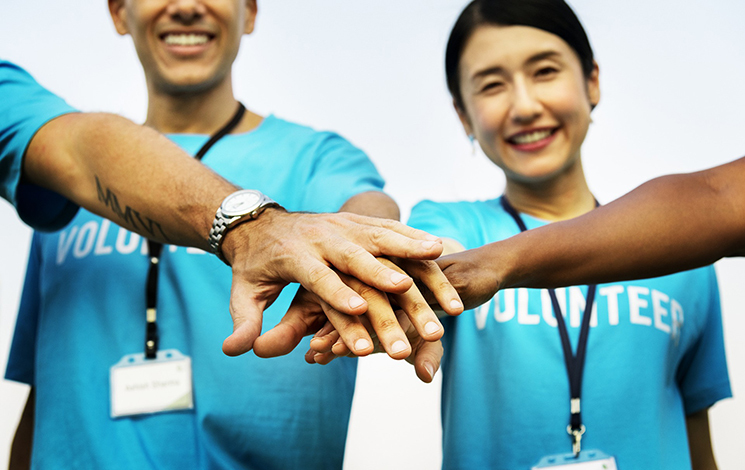 Whether you like working with children, youth, adults or seniors, at cultural facilities, festivals and special events, or contributing as a member of a council-appointed group, there is a volunteer opportunity for you. Volunteering gives you the opportunity to contribute to your community and help establish a personal and professional network. You can also make new friends, practice English and develop leadership skills that can be transferable to a career. Please note: You do not need to be a West Vancouver resident to volunteer for most opportunities (although you do for committees and working groups). Most volunteer positions have a minimum age requirement of 14 years. Some volunteer placements require a Police Information Check (PIC). Support those with physical, cognitive or cultural barriers. Assist children, adults and seniors in aquatic programs, including lessons and aqua fitness. Volunteering at the Aquatic Centre is a great stepping stone to becoming a lifeguard. Volunteers must be at least 14 years old, and attend a volunteer orientation program, which you can find and register for online. Connect with youth 13 – 18 years old. Located off Pound Road in Ambleside Park and adjacent to the SPCA, this is a fully supervised, safe space for youth to spend time with their peers in a positive environment, playing air hockey, ping pong, pool or watching movies. Help children, adults and seniors in aquatic programs including lessons and aqua fitness. This is a great stepping stone into becoming a lifeguard. Volunteers need to be at least 14 years old, and special training is available. Check out the volunteer training programs in the Leisure Guide. If you are a West Vancouver resident and would like to serve on a board, committee or working group, opportunities for 2016 are available. Please complete the Community Involvement Application Form. Camps take place in the summer, and during spring and winter break. Volunteers must be at least 14 years old, and a minimum of two years older than the campers they are working with. All youth volunteers must attend a general volunteer orientation. Volunteers who wish to help out in the camps just take a day camp training module (returning volunteers need to take a refresher each year prior to volunteering in the summer). Check out training in the Leisure Guide. Volunteer to work shifts at the gallery, evening programs, or special events. We also need Class 4 bus drivers for Art Tours. Help children, youth and adults in various programs including arts and crafts, sports, drop-ins and/or fitness programs. This community centre by Horseshoe Bay also has a volunteer-built community garden. This lively festival on the waterfront every summer features art, music, food and wine. Apply to volunteer online at harmonyarts.ca. Love being on the ice? Sign up to be a skating program assistant, or help at events in the arena. Must complete ice skating module, as well as general volunteer orientation. Visit the West Vancouver Memorial Library’s website for volunteer opportunities. The West Vancouver Museum facilitates the preservation of cultural and artistic resources with programs and exhibitions. Want to make a difference in our environment? Help restore parks and remove invasive plants. Get involved in your community by facilitating programs in parks for families such as play groups, art games and activities. Stay healthy, stay young, make new friends, try something new, and connect with others. This program matches older isolated adults with volunteers who assist with transportation and recreational options, the registration process and initial stages of participation until they gain confidence to 'Live Independently and Keep Social'. As a L.I.N.K.S volunteer, you will brighten someone’s world by encouraging new friendships through social activities and help create a sense of community belonging. Enjoy the festivities while helping out at annual special events like Community Day, Canada Day and more. Love working on special projects such as creating artwork, or organizing and data entry? Sign up for these fun activities and with a team of volunteers in completing these projects. Help children, youth and adults in general recreational programs including arts and crafts, sports, drop-ins and/or fitness. A Police Information Check (PIC) is obtained from your local police department. It can take up to three weeks to obtain one. It is not required for all volunteer placements. There are categories of volunteer roles that determine if one is required. In some cases different procedures apply; please contact the Volunteer Coordinator before obtaining a Police Information Check. Whether you have a special talent or are actively searching to discover one–the District of West Vancouver has volunteer opportunities designed with your unique skills in mind!